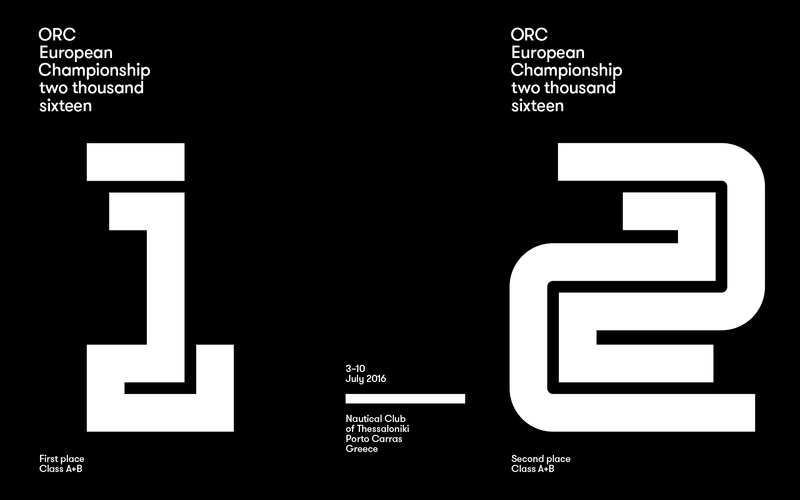 ORC European Championship is the biggest team sailing race in Europe. The 2016 race was held in Greece, and we were invited to design a series of trophies, for both overall and single race winners. For this project, we researched racing yachts, the forms of sails and masts, and race courses. We combined these elements to design the overall winners’ trophies for each category, while all single-race trophies were conceived as “parts” of the overall awards. Steel, aluminum, chrome, polycarbonate plastic, wood and fabric are the core materials used in the design, delivered with a high level of craftsmanship in all applications. To indicate the winner’s ranking (1, 2, 3), we created custom typography inspired by the map imprint of race courses; strong fluorescent colors are used as color coding for winners’ ranking. The trophies incorporate clear and original references to sailing; they reflect and communicate the importance of the event and the significance of being a winner at this level of racing.